For many the definition of a good book is its ability to take the reader away from the humdrum of ordinary life. Paula McLain’s bestselling novels have done just that by inviting readers into the lives of forgotten, remarkable real-life women. McLain’s novel The Paris Wife is the story of Hadley Richardson, Ernest Hemingway’s first wife. Richardson helped to nurture Hemingway’s genius, only to be cast aside. But for a brief glittering time, they were the darlings of Paris literary society. Her newest novel, Circling the Sun, tells the story of Beryl Markham, horse trainer and fearless pioneer aviator. Markham wrote a book about her own aviation adventures, West With The Night, that was much admired by Hemingway. These heroines had their differences. Hadley’s life revolved around the genius she married. Beryl’s life was very much her own invention and as adventurous as that of her most fearless lover. But Hadley and Beryl have something in common and that’s what drew McLain to write about both of them. She was attracted by their core strength and resilience. And real-life characters don’t just belong to the writer. But each writer will see them differently. Whether it’s the literary bonhomie of 1920s Paris cafes or the lush bird-filled jungles of colonial Kenya, McLain’s novels have a very evocative sense of place. For example, a wild young Beryl Markham running through the freshly scythed fields of her Kenyan farm, leopards lurking in the shadows, seems so real that it’s hard to believe McLain did not write the scenes from firsthand experience. McLain admits to being hijacked by ideas. It’s not that she does not look for ideas, but when she encounters the right one, it is irresistible, inescapable. As a single parent with three kids, her writing life has to fit neatly between the hours of 9 a.m. and 3 p.m. “When I’m drafting a book, I try not to do anything else between 9 and 3. I don’t answer the phone or make lunch plans or shop (or clean!). Sometimes it’s all I can do to grab a shower before I head to school in the afternoon to pick up my kids. But obsessing is what I’m inclined to do as a writer anyway. Once I have the thread, all I want to do is follow it. To live in the world I’m creating, and discover more and more what’s in the hearts and minds of my characters.” She tries to write a thousand words a day, starts her day with a cup of green tea and surrounds herself with research books. What advice does she offer for aspiring writers? Read, read, read and stay strong. “Read work that is beautiful, powerful, books that you wish you had written or could write. And then fling everything you have at writing at that level,” she says. “The second and just-as-essential piece is determination. The world is poised to say no to you at every turn. You will fail. You will get your heartbroken. If you don’t feel total commitment to your project and your craft no matter what happens, you won’t be able to weather the ups and downs.” Hers is a life that has known many ups and downs. McLain and her two sisters grew up in foster homes, which she described in her memoir Like Family: Growing Up in Other People’s Houses. When she aged out of the system she supported herself through a variety of jobs until discovering she wanted to write. She received an MFA in poetry from the University of Michigan and has been a resident of Yaddo and the MacDowell Colony as well as the recipient of fellowships from the Ohio Arts Council and the National Endowment for the Arts. Her first book of poetry, Less of Her, won a publication grant from the Greenwall Fund of the Academy of American Poets. She’s also the author of a second collection of poetry, Stumble, Gorgeous, and her first novel,A Ticket to Ride. McLain’s books can be purchased in bookstores and online. Find Paula McLain at the Tucson Festival of Books in the Student Union BallroomOn Sunday, March 13. She will be available in the signing area after her presentation. 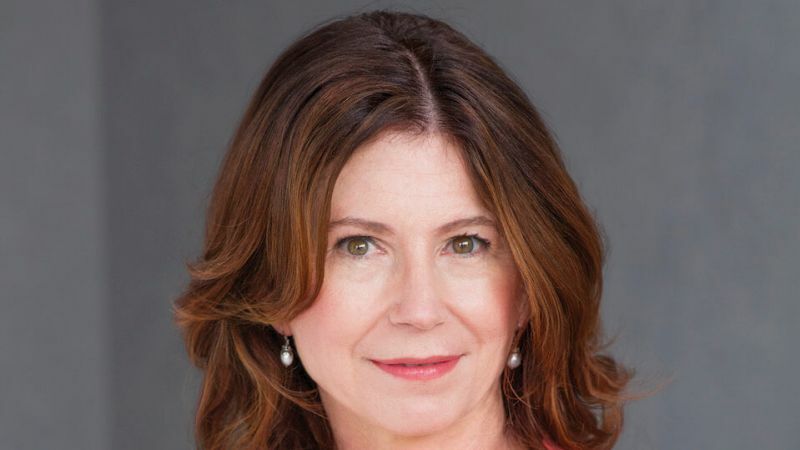 Learn more about Paula McLain on her website.